Vessel 27 LED Outdoor Lamp is the new version of the Vessel lantern, the Vessel2 is a great addition to any décor with its rounded curves and small size. With its retractable wooden handle and its wireless technology, this outdoor lamp will follow you everywhere. 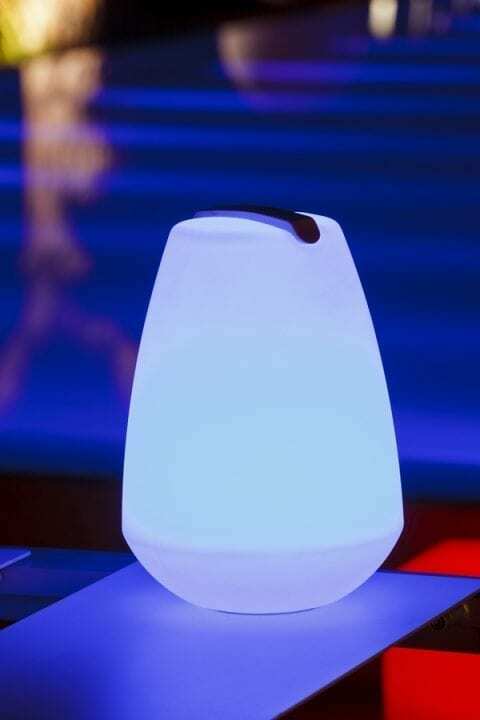 Use its Bluetooth technology to change the ambiance via your smartphone following your desires!